Singer is a renowned name which is in business for a number of decades. They have always astonished the professionals with a lot of splendid and beautifully designed sewing machines. 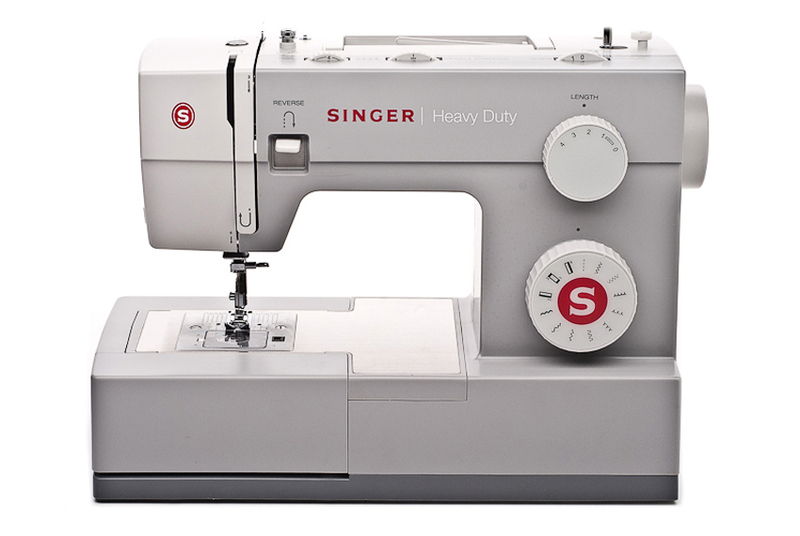 This SINGER 4411 is a sheer piece of quality, par excellence and the best heavy duty sewing machine that you will ever see. The flexibility can be well seen when exploring its different features and evaluating its usefulness in a number of cases. Even the worst SINGER 4411 review would not let your eyebrows to be raised. It is a workhorse and can do exceptionally heavy duty professional stitching with quite a bit of convenience. It has a jaw dropping stitching speed of 1100 per minute, which definitely is some serious speed. Still, the customers are advised to take their time and have a look at this well researched review to get a real insight into this machine. There is absolutely no rush and you must compare the features with other similar products to make your final decision. 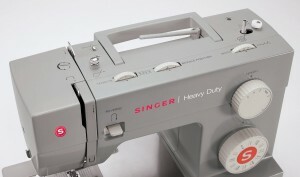 This easy sewing machine version from Singer is definitely creating great vibes all across the sewing machine industry. It is all because of its sleek design, lightweight and feature-enriched system that facilitates the professional sewers in every possible way. It can handle all light to heavy duty sewing tasks with utmost ease and it is tested by the manufacturer to take heavy workload throughout the day. With 60% stronger motor than its competitors, it provides the necessary torque that allows you to sew through heavyweight fabrics with ease. And with a jaw dropping stitching speed of 1100 per minute, which definitely is some serious speed, it’ll sew faster than a standard sewing machine. The heavy duty metal frame gives users the peace of mind they were looking for as every part of the equipment is well placed with no chance of falling apart. The stainless steel bed plate further endorses its durability and makes feeding the fabric through effortless, as it slides across the machine arm. With a total of 11 built-in stitches, 6 basic, 4 decorative and 1 auto buttonhole, It has a convenient system for making buttonhole in 4 easy steps. Length & width of all stitches can be adjusted by the simple turn of the dial to the desired stitch length & width, to a maximum of 6mm wide. It has all the necessary basic stitches needed for crafts, home decor or dressmaking. 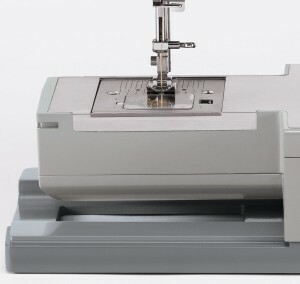 It allows free motion sewing for creative stitching, with the appropriate footer. 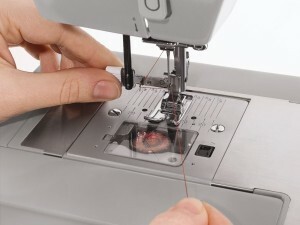 You also have the option of an automatic reverse sewing, to add that extra bit of reinforcement to stitches made. 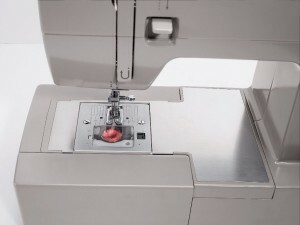 The convenient drop-in bobbin system is very easy to insert and remove which makes the entire sewing process seamless & the clear view cover makes it easy to monitor the bobbin thread supply. Snap-On Presser Feet, quick release for easy on and off allows you to change presser feet fast. The presser foot control is adjustable which you can deploy when shifting from light to heavy sewing using the thick fabric that usually comes with quilts. The free arm feature provides exceptional results with convenient access to collar, cuffs and the pant hems. Several accessories come along which will help you a lot with the range of sewing tasks and that add great value to the deal. Storage is absolutely a class with this best singer sewing machine. It is light weight, compact and can be easily carried along if the sewing place needs to be changed. Moreover, the system also offers exceptional on board storage to keep different small related accessories that comes along with the package. How do you setup the Singer 4411? The machine will start with the foot presser. Singer 4411 what’s not so good? Along with the several perks of this machine that we discussed above, there are some limitations as well which you must be wary of. At 1,100 stitches per minute, this machine sews very fast, so a little care needs to be taken when controlling the speed. Versatility isn’t one of the Singers strong points, it lacks fancier more creative styles of stitching of its competitors being limited to having only 11 stitch types. At the end of the day this is a workhorse of a sewing machine, no matter how hard the job it’ll stitch it together. Is the Singer 4411 worth it? It is definitely a cost effective solution as it can be easily maintained and it simplicity in design means there are no real issues when it comes to using it. 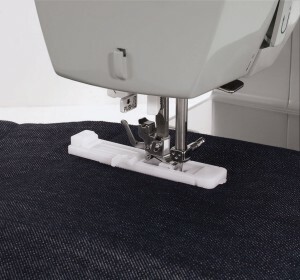 The Singer 4411 really comes into its own when the real heavy duty work starts, dealing with multiple layers for sewing or doing some heavy duty quilt stitching. If you compare the singer sewing machine with other similar products, then you’ll surely find it at the top of the list. Though perhaps a little more basic than some other sewing machines available, there are definitely less limitations when it comes to stitching & working with a variety of materials. Try it and you will surely love the experience. the price is totally worth it.